Summer is an excellent time for a wedding, the weather is great and everyone is in a cheerful and celebratory mood. Summer is a great time to host an outdoor wedding and there are lots great summer themed DIY wedding ideas for you to do to add a personalized summer touch to your big wedding day. 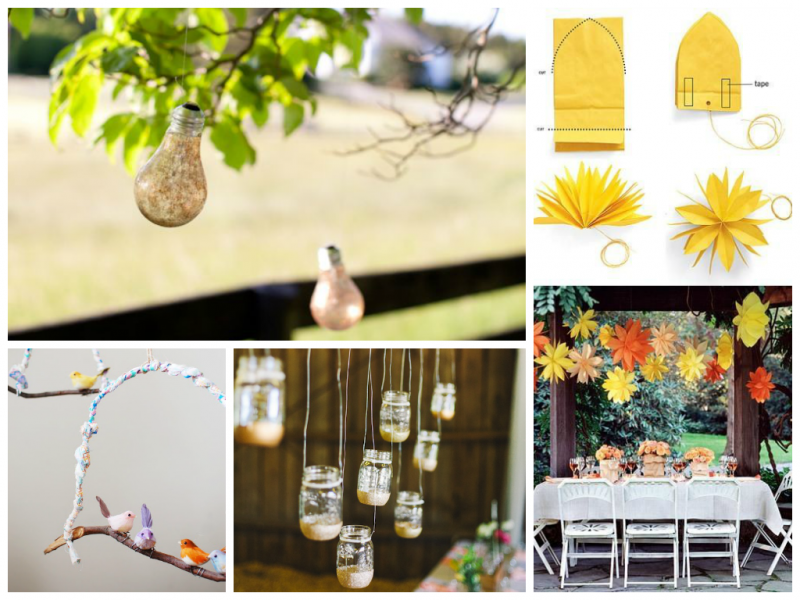 Sometimes weather can be unpredictable so basking in the sun might not be an option on your wedding day, saving that for your honeymoon in Mauritius, or somewhere just as lushes might be the key but there is nothing stopping you from bringing these DIY ideas indoors and decorating your venue with gorgeous summery details, in the meantime pray for the sunshine. Hanging decorations are great in the summer time outdoors and there are lots of variations of hanging decorations. One great hanging decoration idea is to hang bottles from tree branches. Paint these bottles in transparent coloured glass paint that you can buy from any crafts store and tie flowers around the tip of the bottles. During the sunshine, the colours reflect everywhere and at night you can put candles in the bottles and they look great hanging from the trees. You can also hang bird cages from under trees if your wedding is outdoors or from beams if your wedding is indoors. You can fill these bird cages with summer flowers such as lavender and daisies. 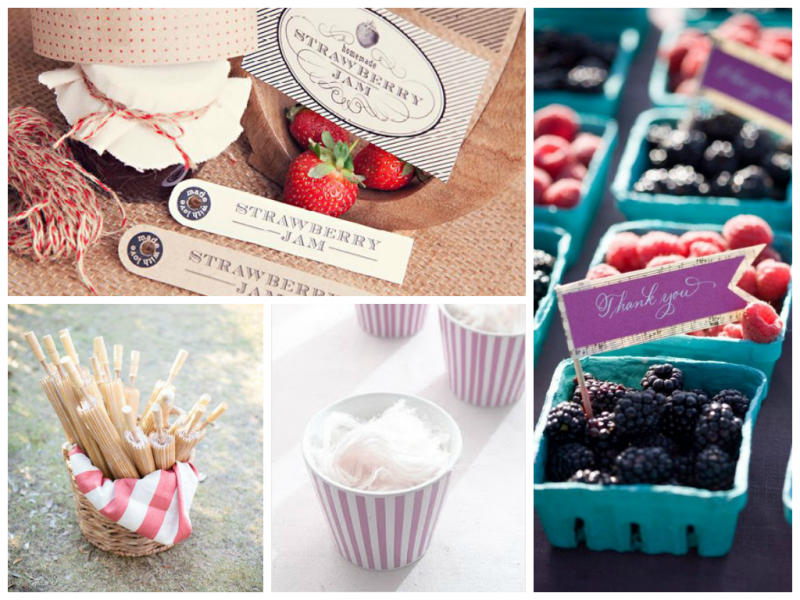 Summer offers some great natural edible delights, so why not share this with your guests in the form of edible wedding favors. Jam is famously delicious in the summertime. Why not get jam from the local farms in your surrounding area in a variety of different flavors such as apricot, strawberry, raspberry and orange. Candyfloss brings back childhood memories of fun fairs and happy times in and around the summer time. You can get a variety of different coloured candyfloss which fits the colourful summer wedding theme perfectly. You can even get candyfloss which is fabricated into various different shapes. This idea looks especially great if you are having an outdoor summer wedding as when the light summer breeze hits the garland it gentle moves around. Garlands are a favorable wedding decoration and a great way to make your own garland is with cupcake cases. You can find really great decorative cupcake cases with interesting designs on them at most supermarkets in the home baking section. 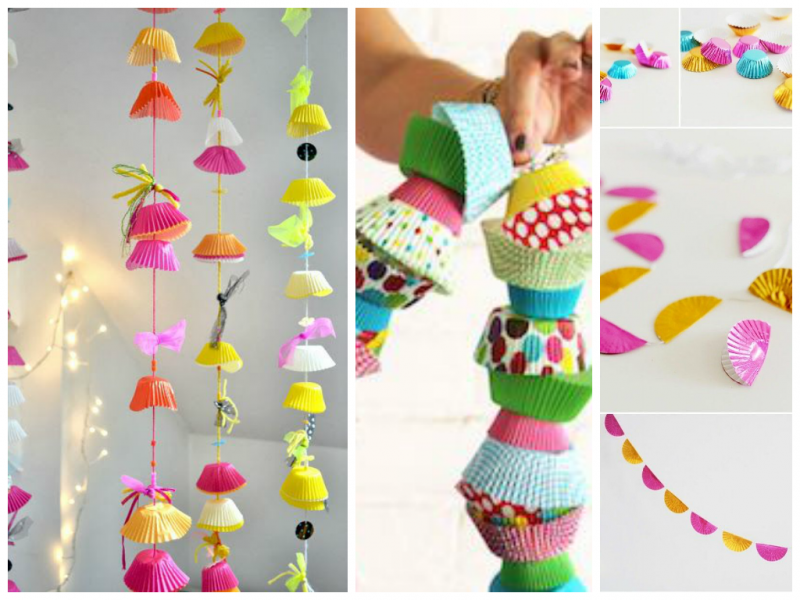 These garlands are very simple to make too – all you have to do is pierced a hole through the middle of the base of the cupcake case (a large needle head will do the trick) and then thread through a piece of string. These look great all presented on a table near the entrance to your wedding venue for your guests to pick up and twiddle with which they are socializing and waiting for the celebrations to begin. All you need to do is head down to your local crafts store, gift store or supermarket and pick up some lightweight colourful and quirky wrapping paper. Cut squares out of the paper, you want to aim for 6-8 inch in length, and on the plain side of the square with a ruler, draw lines from corner to corner. After pinpointing the centre of the square using the lined with a colourful pin, cut down the lines from the outer corners for about an inch. Then, in the right hand side of each corner, fold this into the centre and pin in place. Then, with one of your push pins you want to create a little hole around an inch from one of the ends of a wooden dowel, but make sure the hole doesn’t go all of the way through the dowel. 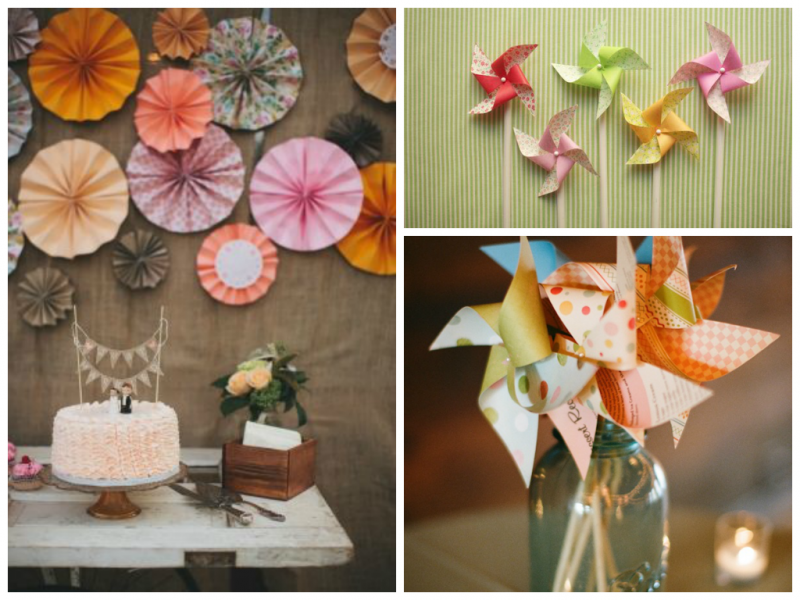 With a glue gun, put some glue into the hole and push in your pinwheel and leave to dry. Using your imagination or even ideas from other brides is an excellent chance for your to get creative, you will look back at your wedding day and know that you put your heart and soul into producing a gorgeous summer infused wedding. Those raspberries are a great idea! That is so cute! I love the cupcake things! Very nice!